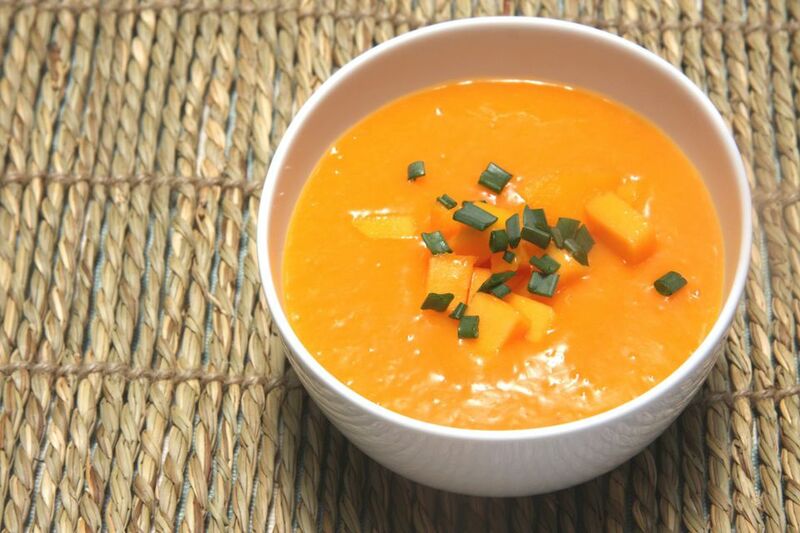 I love this cold soup recipe for spicy mango soup as all of the ingredients are fresh and it is just so healthy! This cold soup recipe is suitable for those on a gluten-free diet or a raw food diet, as it is vegetarian, vegan and uses all fresh, raw food ingredients. Oh, and did I mention it's fat-free and gluten-free too? Spicy chilies pair well fresh mangoes, and with a bit of ginger for an extra kick, this is a cold soup recipe to keep! Process all ingredients together in a blender until smooth and creamy, adding a bit more or less water as needed. Chill before serving. Makes two servings. What Cold Soup Recipes Are Best for Summer?